Last week I was joined by several members of the Faculty’s leadership team and the Engineering Society as we hosted our first Town Hall Meeting for undergraduate students. This event provided us with an opportunity to share our new initiatives to improve students' experiences and, more importantly, it served as a forum for our students to ask us questions, hear our responses and voice their opinions and concerns. Over 80 students were in attendance, and in response to issues raised, we were able to provide information on a number of services, which highlighted the need for greater communication about our existing resources. Additionally, we noted a number of questions and suggestions for improvements, some of which are beyond the immediate realm of Engineering. We look forward to getting back to the students who attended this meeting regarding ways in which we can incorporate and build upon their input. I am extremely pleased with the turnout at this inaugural event, and I look forward to future Town Hall meetings. 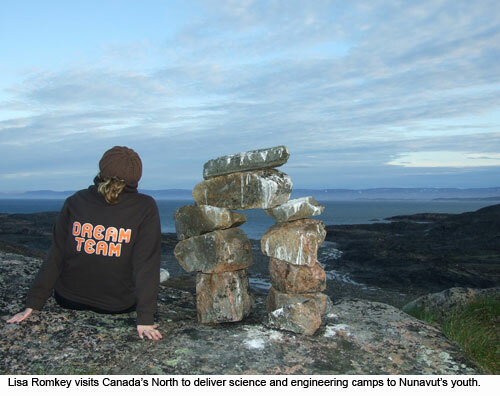 National Engineering Week in Canada is Feb. 23-Mar. 2. Join engineers across Canada in this annual celebration of our profession, which will raise public awareness of engineers’ contributions to the quality of life and tell young people about the opportunities and excitement of an engineering career. Congratulations to Professor Emeritus James W. Smith, Department of Chemical Engineering and Applied Chemistry, and Carmine Fontana (8T1), VP of Gas Processing for Eco-Tec Inc., on receiving the Canadian Manufacturers and Exporters 2007 Award for Innovation. The innovation that Professor Smith and his team created is a spinoff from Department-based research that removes hydrogen sulphide from industrial, municipal and agricultural sources. Eco-Tec Inc. is a successful employee-owned and ISO-certified Canadian manufacturer of environmentally important equipment.